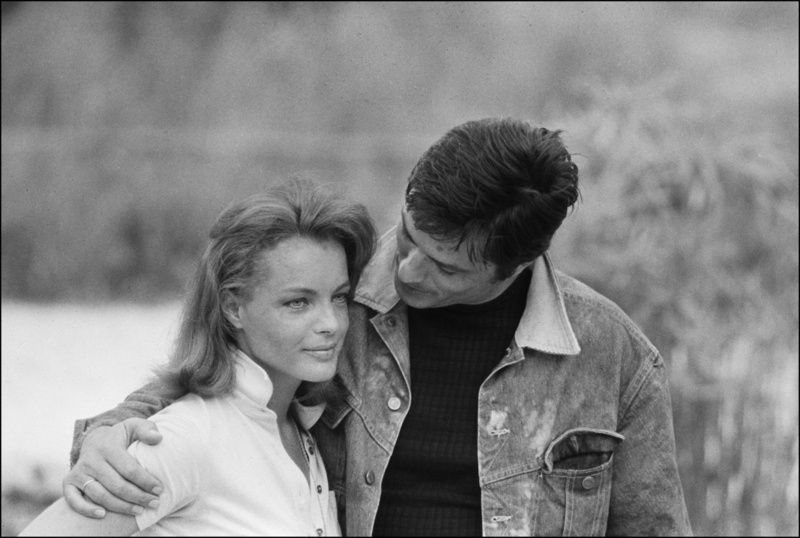 Alain Delon’s letter to Romy Schneider upon her untimely death, twenty years after their engagement ended. Romy’s son David had tragically died a few years earlier at the age of 14. « I watch you sleep. I’m with you, by your bedside. You’re wearing a long black tunic and red embroidery on the bodice. These are flowers, I think, but I do not look at them. I will say goodbye, the longest farewell, my Puppelé. That’s how I called you. It meant « little doll » in German. I do not watch the flowers, but your face and I think you’re beautiful, and never, perhaps you have been so beautiful. I also think this is the first time in my life – and yours – I see you calm and soothed. You’re so quiet, you are so fine , how beautiful you are. Looks like a hand, gently wiped your face all the tensions, all anxieties of misfortune.I watch you sleep. They tell me that you’re dead. I think of you, to me, to us. What am I guilty? We ask ourselves this question before a being that is loved and still love that one. This feeling fills you, and then flows back and then we say that one is not guilty, no, but responsible … I am. Because of me, what is your heart in Paris the other night, stopped beating. Because of me because it was there twenty-five years and I had been chosen to be your partner in « Christine ». You came to Vienna and I waited, in Paris, with a bouquet of flowers in his arms I did not know how to hold. But the film’s producers told me: « When it come down from the bridge, you will advance to her and offer these flowers. » I waited with my flowers, like a fool, mixed with a horde of photographers. You’re down. I stepped forward. You said to your mother, « Who is this boy? ». 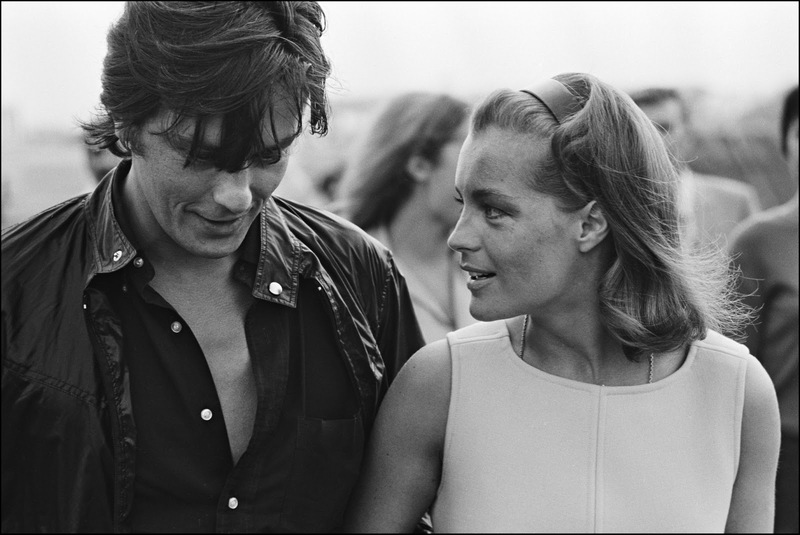 She answered you: « It must be Alain Delon, your partner … « . And then nothing, no thunderbolt, no. And then I went to Vienna where we were shooting the film. And then I fell madly in love with you. And you fell in love with me. Often, we asked ourselves one to another issue of love, « Who fell in love the first, you or me? ». We counted ‘One, two, three! « And we answered: » Neither you nor I! Together « . My God, we were young, and as we were happy. At the end of the film, I said, « Come live with me in France » and already you told me: « I want to live near you, in France. » Do you remember when? Your family, your parents, furious. And throughout Austria, Germany, who all treated me … usurper, the kidnapper, who accused me of removing the « Empress »! Me, a French, who did not speak a word of German. 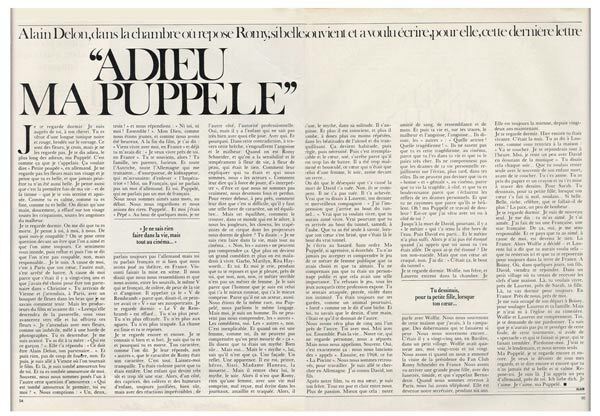 And you, Puppelé, who did not speak a word of French. We loved without words, in the beginning. We looked and we had some laughs. Puppelé … And I was « Grandpa ». After a few months, I did not speak German yet but you spoke French so well and we played at the theater in France. 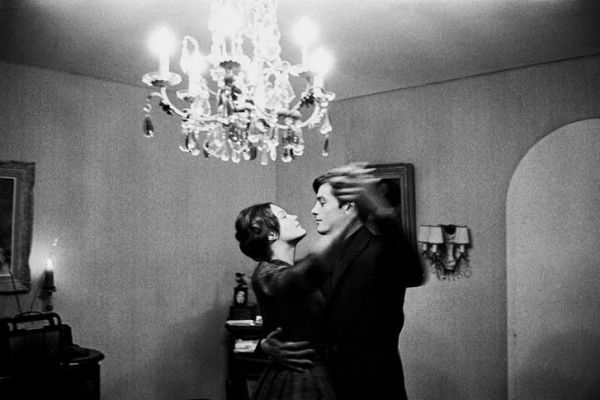 Visconti was the staging. He told us that we resembled and we had, between the eyebrows, the same V that wrinkled, anger, fear of life and anxiety. He called it the « V of Rembrandt » because, he said, that this painter had « V » on his self portraits. I watch you sleep. « The V of Rembrandt » is deleted … You have no fear. You are no longer frightened. You’re more alert. You are no longer hunted. The hunt is over and you rest. I look at you again and again. I know you so well and so strong. I know who you are and why you died. Your character, as they say. I reply, ‘other’, the character of Romy was her character. That’s it. Leave me alone. You were violent because you were right. A child who soon became a star, too soon. So, on one side, whims, tantrums and moods of a child, always justified, of course, but with unpredictable reactions, on the other hand, the professional authority. Yes, but there are children who do not really know how it plays with. With that. And why. In this contradiction, through this breach, rush anxiety and unhappiness. 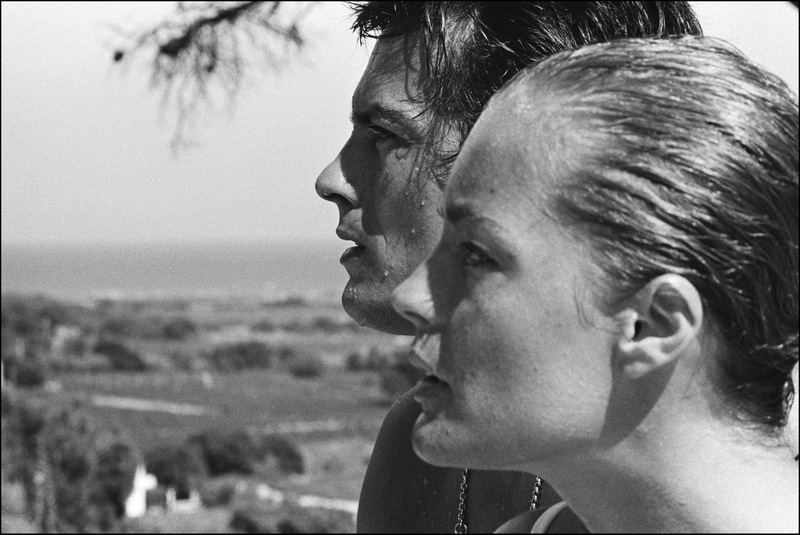 When one is Romy Schneider, and we have the sensitivity and temperament in flower of life, on edge, which was yours. How to explain who you were and who we are, « actors ». How to tell them to keep playing, « Interpreter » to be what we are not really crazy and we become lost. To stand, roughly, how they say it is so difficult, that there should such a strong character, such a balance … But this balance, how to find it in this world of ours, our jugglers, clowns, trapeze artists of the circus whose projectors we bask in glory? You said: « I can not do anything in life, but all the movies … ». No, the « others » can not understand that. That the more we become a great actor and it is awkward to live. Garbo, Marilyn Monroe, Rita Hayworth … And you. They say that desperation that you caused the death of David you killed her. No, they are mistaken. Did he not kill her. There you have completed. True that you said to Lawrence, and your last wonderful companion: « I feel like I get to the end of the tunnel. » True that you wanted to live, you would have liked to live. Nevertheless true that you came out of the woods on Saturday at dawn. You were only to know when your heart is broken, that this was the true end of the tunnel. I write at random. Without notice. My Puppelé, if aggressive, if scratched. You never could accept and understand the game of women’s work that you had chosen public and you loved. You did not understand that you were a public figure and it was so important. You refused the game, any game that exposes profession. You felt attacked, breakthrough, broken into your privacy. You were always on your guard, like a hunted animal, « forced » as they say a deer. And you knew that fate, with one hand, t’ôtait what gave you the other. We lived more than five years, one near each other. You with me. Me with you. Together. Then life … Our life, which nobody’s business, has separated us. But we were called. Often. Yes, that’s exactly right: we embarked on « appeals ». 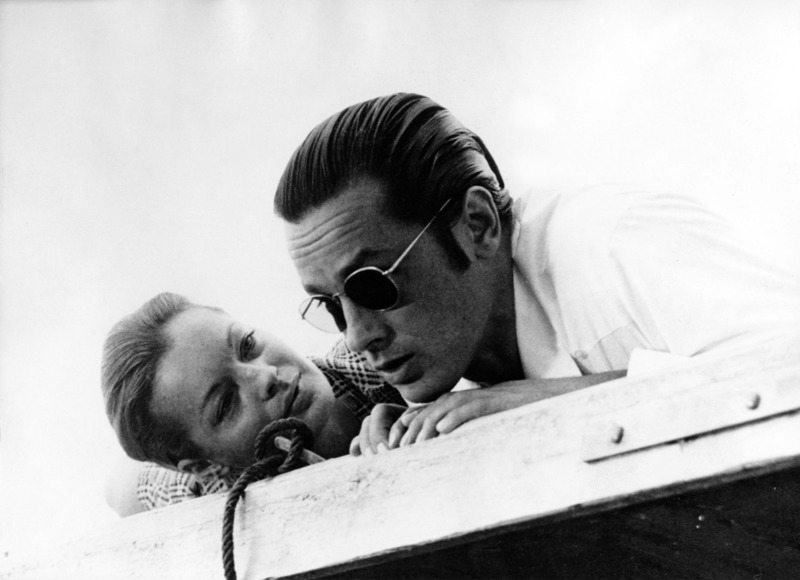 Then, in 1968, it was « The Pool ». We found ourselves, to work. I went looking for you in Germany. I met David, your son. After our movie, you’re my sister, I am your brother. Everything is clean and clear of us. More passion. Better than that: our friendship blood, likeness and words. And then your life and your ways, unhappiness and anxiety, the anxiety … They will say, « other », « What an actress! What actress! « . They do not know that you are the actress, cinema, because you are in your life that you and pays dearly. They do not understand the drama of your life reflect upon the screen later in your roles. They can not guess that you are « good » and « brilliant », the movies, because you live the tragedy at hand, and you are upsetting because you light up the reflection of your personal dramas. And you do not radiated because they burn you. Oh! Puppelé this work my pain! Do I have lived with you or next to you? I watch you sleep. Wolfie, your brother, and Lawrence enter the room. I speak with Wolfie. We remember this house I had in the countryside. Of Dobermans that made you so afraid. We remember again … That was twenty-five years ago, in Bavaria, in a small village. Wolfie was fourteen, my twenty-three and twenty thou. We laughed when we announced the visit of the President of Fan Club Romy Schneider in France. We have seen it happen a great girl, with glasses, shy, and named Bernadette. When we returned to Paris, we have called him. She became our secretary for six years. It is always mine, for twenty-two years now. I watch you sleep. Yesterday you were still alive. It was night. You said to Lawrence, as you return home: « Go to bed. I’ll join him earlier. I rest a bit with David, listening to music. » You said that every night … You wanted to be alone with the memory of your dead child before bed. You sat. You took the paper and a pencil and you started to make drawings. For Sarah. You were drawing for your little girl, when your heart has hurt so much, suddenly … So beautiful. Beautiful, rich, famous, that you ought to be more? Peace, a little happiness. I watch you sleep. I’m alone again. I say you loved me. I loved you. I have made you a French, a French star. Of that, yes, I feel responsible. And this country that you loved, for my sake, became yours. France. So, Wolfie decided – Lawrence and told him that you wanted it – you’d stay here and that you should rest forever in the land of France. A Boissy. Where, in a few days, your son, David, will join you. In a small village where you had just received the keys of a house. There, you wanted to live near Lawrence, near Sarah, thy daughter. There, you will sleep forever. In France. Closer to home, close to me. I took care of you left Boissy, to relieve Laurent and your family. But I do not go to church or the cemetery. Wolfie and Laurent understand me. You, I ask you to forgive me. You know I would not be able to protect yourself from this crowd, this storm, so eager to « show » and made you so afraid, that you tremble. Forgive me. I’ll see you tomorrow, and we are alone.